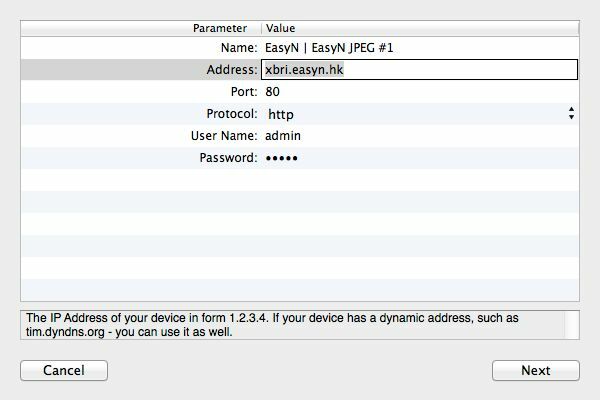 How to setup IP Camera Cloud on Mac? IP Camera Cloud is our latest (updated September 2014) video surveillance solution. It allows to record video from IP Cameras on your computer, and optionally store it in our Cloud Servers for 30 days. 1. Make sure your Mac OS X version is 10.9 or 10.10. 2. Sign In at DComplex with a DComplex or Google+ Account. Google+ Account is required for storing video in the Cloud. If you only plan to record video on your computer, use either DComplex or Google account. 3. 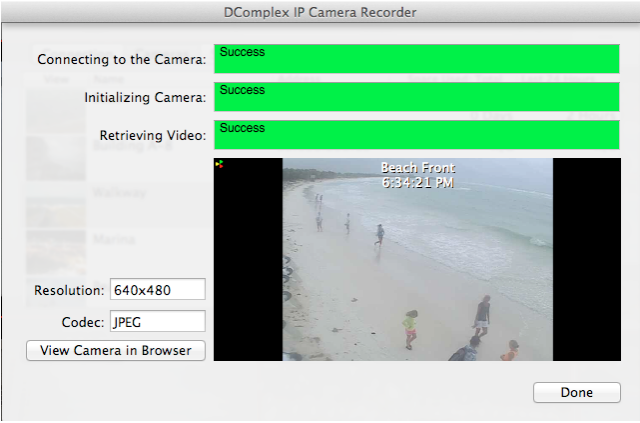 Download IP Camera Cloud from DComplex Downloads. 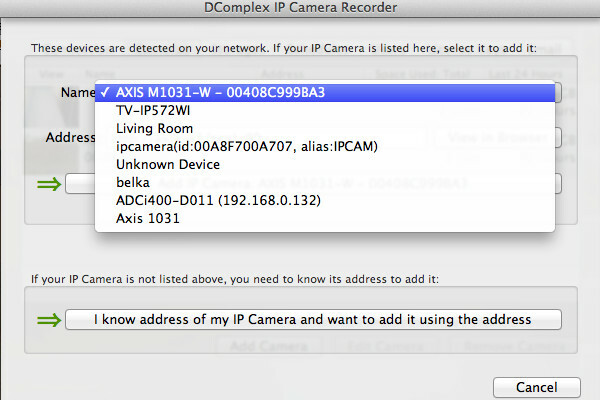 Select IP Camera Cloud For Mac item. 5. Find IP Camera Cloud icon on your Desktop. Launch it and Sign In with your Account. Note: If you have installed IP Camera Cloud on your other computers, you will see all your cameras from these computers in this app as well, as long as you login with the same Account on all your computers. 9. Enter Address and Port of your camera. Make sure that you can connect to the camera using the address and port in the Safari app. For most cameras, you will also need to enter username and a password. The default username and password are usualy printed on the back of the camera or in camera User Manual. 10. Click the Next button. The Camera Status window will open. 11. Close the Camera Status window to see the camera in the app.